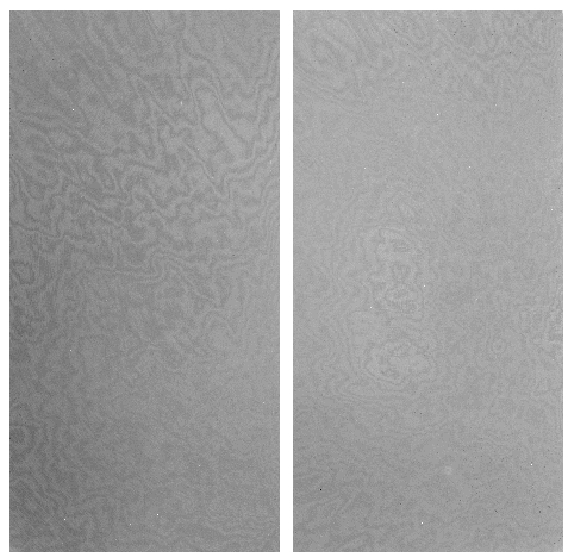 Images obtained with the I#814 filter show a strong fringing pattern caused by night sky line interference in the thin CCDs. Since flat fields are obtained with white light, they cannot correct for these fringes. Moreover, the fringes are an additive pattern and should therefore be subtracted, not divided. To remove the fringes, the fringe pattern must be extracted from the scientific images themselves. 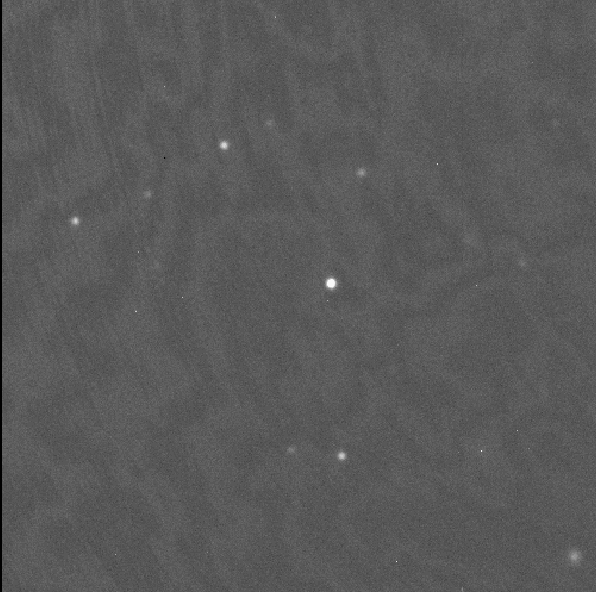 Fringes appear quite well in Fourier space. Therefore, checking the power spectrum of the raw and cleaned images is a good way to monitor the cleaning and to adjust the normalization factor used below. Note however, this does not work very well for crowded fields, as the objects contaminate the power spectrum. Obtain the observations with a large dithering pattern. Make sure you have at least 5 long exposures in I, ideally at least 5 exposures per field. This was how the above clean image was made. 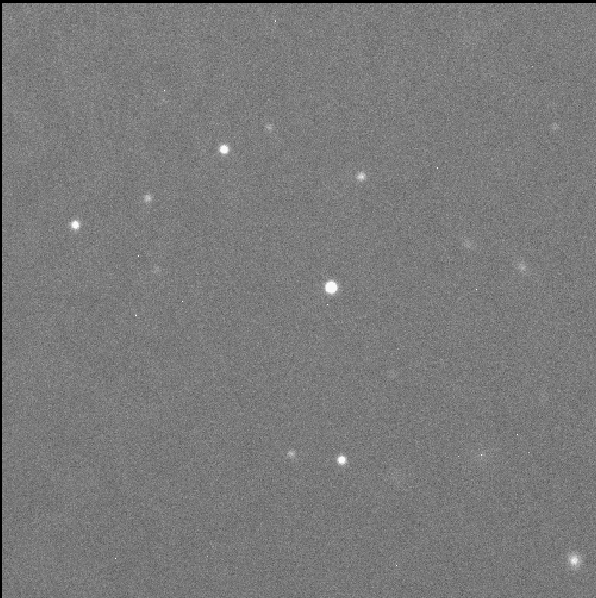 Remember, if you want to do precise photometry, you have to fine tune and adjust the factor for each image. Here, you find a new fringing pattern. It was obtained combining 5 images (I#814) with exposure time of 1200 sec each, taken on November 10, 2004. It was corrected for the bias but was not flatfielded.The average has been subtracted, so the pattern is varying around zero. We compared the image to the old one, and although the intenisty of the fringes change, we could not find any changes in the shape of the pattern.